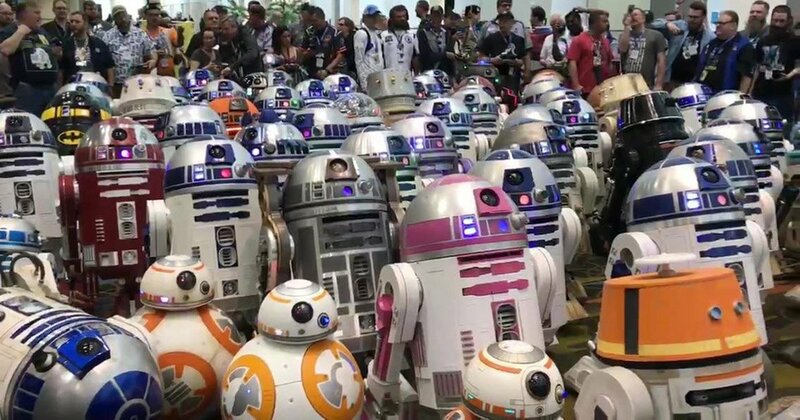 During Star Wars Celebration, a veritable army of robot builders got together in one room to let their R2-D2s, BB-8s, and other assorted droids meet each other. It’s like a dog park for droids, and it should be open every day of the year. Kudos to Michael McMaster for the video.